LAS VEGAS (April 30, 2018) – Badou Jack is having the time of his life. 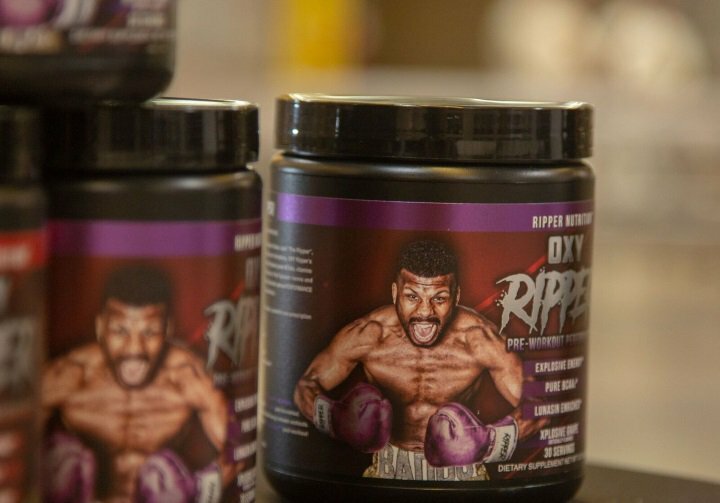 After formally announcing his May 19th world title fight against Adonis Stevenson in Toronto last week, the two-division world champion made headlines Thursday with the launch of his new nutrition supplement line entitled “Ripper Nutrition.” The special launch event was held at the American Nutritional Corporation complex in Las Vegas, where Ripper Nutrition was formulated, tested and made. The two products, OXY Ripper and AMINO Ripper, combine Branched-Chain Amino Acids (BCAAs) with LUNASIN, a powerful antioxidant that clinical studies have shown reduce inflammation, support heart health and boost the immune system. Additionally, Ripper Nutrition is Informed Sport Certified, the global gold standard testing certification for banned substance assurance. Jack was joined by several Ripper Nutrition “ambassadors” that believe in the product including former world champion Jessie Vargas, Mayweather Promotions fighters Lanell Bellows and Ashley Theophane as well as UFC star Kevin Lee. He was also supported by his entire family including his newborn son Malik.